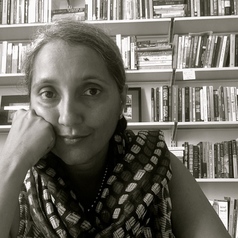 Sharmila Rudrappa teaches on, and researches issues related to gender, race, and labor. Her specific interests are on reproductive markets, with a focus on the U.S. and India. She is author of Discounted Life: The Price of Global Surrogacy in India (New York University Press, 2015). She is also the author of Ethnic Routes to Becoming American: Indian Immigrants and the Cultures of Citizenship (Rutgers University Press, 2004), which explores race and activism in late 20th century Chicago.